Troy Davis. Executed. 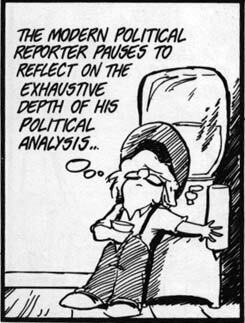 News coverage. JACKSON, Ga. — Georgia executed Troy Davis on Wednesday night for the murder of an off-duty police officer, a crime he denied committing right to the end as supporters around the world mourned and declared that an innocent man was put to death. Defiant to the end, he told relatives of Mark MacPhail that his 1989 slaying was not his fault. “I did not have a gun,” he insisted. Davis was declared dead at 11:08. The lethal injection began about 15 minutes earlier, after the Supreme Court rejected an 11th-hour request for a stay. The court did not comment on its order, which came about four hours after it received the request and more than three hours after the planned execution time. Though Davis’ attorneys said seven of nine key witnesses against him disputed all or parts of their testimony, state and federal judges repeatedly ruled against granting him a new trial. As the court losses piled up Wednesday, his offer to take a polygraph test was rejected and the pardons board refused to give him one more hearing. 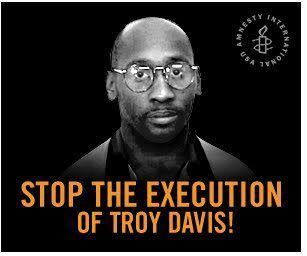 Davis’ supporters staged vigils in the U.S. and Europe, declaring “I am Troy Davis” on signs, T-shirts and the Internet. Some tried increasingly frenzied measures, urging prison workers to stay home and even posting a judge’s phone number online, hoping people will press him to put a stop to the lethal injection. 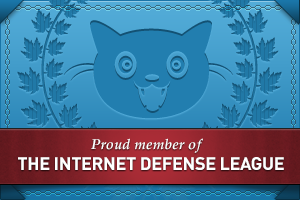 President Barack Obama deflected calls for him to get involved. “They say death row; we say hell no!” protesters shouted outside the Jackson prison where Davis was to be executed. In Washington, a crowd outside the Supreme Court yelled the same chant. As many as 700 demonstrators gathered outside the prison as a few dozen riot police stood watch, but the crowd thinned as the night wore on and the outcome became clear. The scene turned eerily quiet as word of the high court’s decision spread, with demonstrators hugging, crying, praying, holding candles and gathering around Davis’ family. “The state of Georgia is about to demonstrate why government can’t be trusted with the power over life and death,” she said. About 10 counter demonstrators also were outside the prison, showing support for the death penalty and the family of Mark MacPhail, the man Davis was convicted of killing in 1989. MacPhail’s son and brother attended the execution. At a Paris rally, many of the roughly 150 demonstrators carried signs emblazoned with Davis’ face. “Everyone who looks a little bit at the case knows that there is too much doubt to execute him,” Nicolas Krameyer of Amnesty International said at the protest. Davis’ execution has been stopped three times since 2007, but on Wednesday the 42-year-old ran out of legal options. His attorney Stephen Marsh said Davis would have spent part of Wednesday taking a polygraph test if pardons officials had taken his offer seriously. “He doesn’t want to spend three hours away from his family on what could be the last day of his life if it won’t make any difference,” Marsh said. Amnesty International says nearly 1 million people have signed a petition on Davis’ behalf. His supporters include former President Jimmy Carter, Pope Benedict XVI, a former FBI director, the NAACP, several conservative figures and many celebrities, including hip-hop star Sean “P. Diddy” Combs. “I’m trying to bring the word to the young people: There is too much doubt,” rapper Big Boi, of the Atlanta-based group Outkast, said at a church near the prison. Witnesses placed Davis at the crime scene and identified him as the shooter, but several of them have recanted their accounts and some jurors have said they’ve changed their minds about his guilt. Others have claimed a man who was with Davis that night has told people he actually shot the officer. The last motion filed by Davis’ attorneys in Butts County Court challenged testimony from two witnesses and disputed testimony from the expert who linked the shell casings to the earlier shooting involving Davis. Superior Court Judge Thomas Wilson and the Georgia Supreme Court rejected the appeal, and prosecutors said the filing was just a delay tactic. Davis’ best chance may have come last year, in a hearing ordered by the U.S. Supreme Court. It was the first time in 50 years that justices had considered a request to grant a new trial for a death row inmate. The high court set a tough standard for Davis to exonerate himself, ruling that his attorneys must “clearly establish” Davis’ innocence – a higher bar to meet than prosecutors having to prove guilt. After the hearing judge ruled in prosecutors’ favor, the justices didn’t take up the case. The execution drew widespread criticism in Europe, where politicians and activists made last-minute pleas for a stay.